When it comes to mindfulness, do you really understand the term and what it means to you and your relationships? 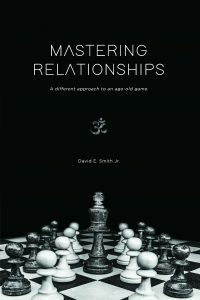 Are you looking to once and for all master your relationships you encounter each and every day? Are you ready to be true to what you see in the mirror each day? This book, love inspired, is about you. This book provides the self-help as to what you need to understand, and how you can develop your powers to return to the Knowing being you truly are. Yes, a Universal Knowing; a knowing apart from false teachings in text books, declared religious dogma or treatises disseminated by scientist about your existence on this planet. Now comes a book that challenges your spirituality; reminding you, who you truly are. Whether you subscribe to a religion or not, this book will help you identify the truth in the interpretations of religious books; helping you change your life forever.